A few months ago, we introduced My Brickell to you. 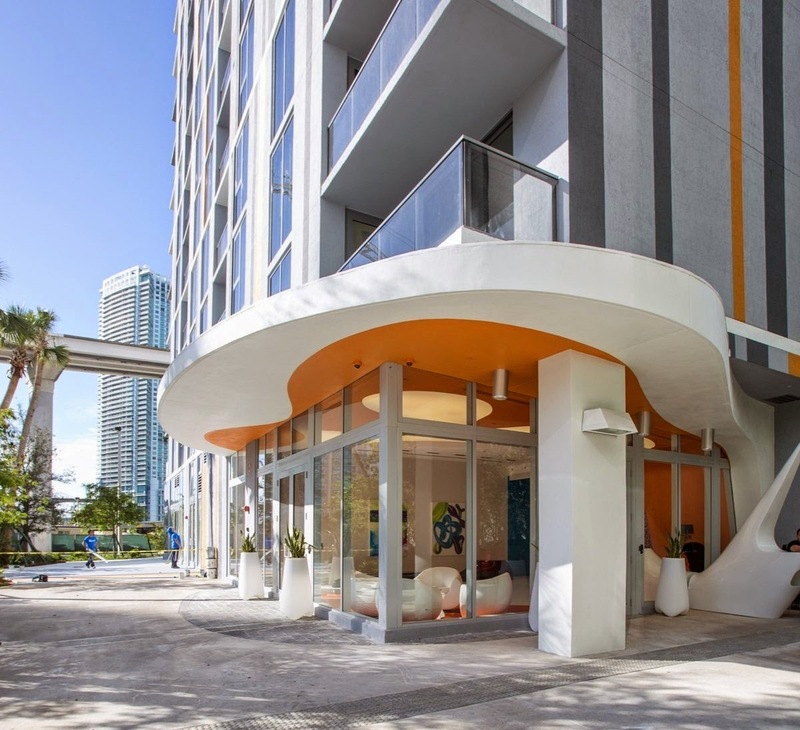 My Brickell is the brain child from famed designer, Karim Rashid, along with renowned developer, Jorge Perez, Arquitectonica’s Principal, Bernardo Fort-Brescia, and famed landscape designer, Raymond Jungles. This creation, unlike anything that has been built in all of Miami, has been so well received that following a complete sell out, re-sales are underway with increases in list prices topping 70 percent. Along with a high demand on sales, My Brickell rentals are also a hot commodity as the condominium, itself, has that edgy appeal that draws so many renters who want to be in Brickell. Early on, investors saw the value in My Brickell real estate and sought to be part of something that was going to stand out in the pack of the new wave of development taking place in Brickell. And it appears they hit the nail on the head. In the last six months, there have been 28 rentals have been leased. Studios with a little more than 600 square feet have monthly rentals falling between $1,500 and $1,650 while one and two-bedroom monthly rentals range from about $1,900 to well over $3,000. The overall price per square foot falls between $2.00 and $3.00. It is interesting to note that the one studio rental available has a monthly rental of $1,790 – an 8 percent increase over the highest rental rate paid in the last six months. As for one-bedroom rentals, there is only one penthouse unit available with a monthly rate of $2,250. 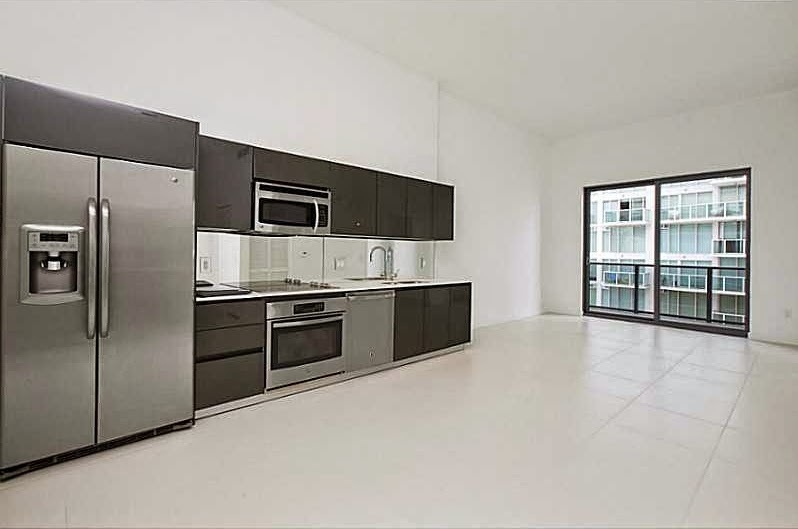 Two-bedroom rentals are available with rates ranging from $2,450 to $3,300 which is comparable to the prices of recent My Brickell rentals. It is no wonder that My Brickell is such a hot spot. The condominium provides numerous amenities that have a trendy, “now” kind of feel to them. Orange is the signature color and it appears everywhere even if it is just a fleck in the carpet. The state of the art fitness center, the inviting and happy pool deck with a cool pool bar, game room with an orange pool table, no less, and expansive art deco-style lobby make this condominium absolutely all the rage. When creating My Brickell, the goal was to make it as pedestrian-friendly as possible. With that in mind, there is parking next door but only one and two bedroom residences come with one assigned parking spot while studios must use valet parking. Let’s face it – because of its location, you do not need a car unless you want to go to the beach but just make sure you have a friend with a car. Residences are spacious and have a loft-style feel to them. Studios are a little over 600 square feet and the largest two-bedroom/two-bath has over 1,300 square feet. The kitchens feature stainless steel appliances and tiled back splashes and are designed as a loft would lay out a kitchen. Views from the residences showcase the city and water. The living area is open and airy, and the master bedrooms have very nice walk-in closets. 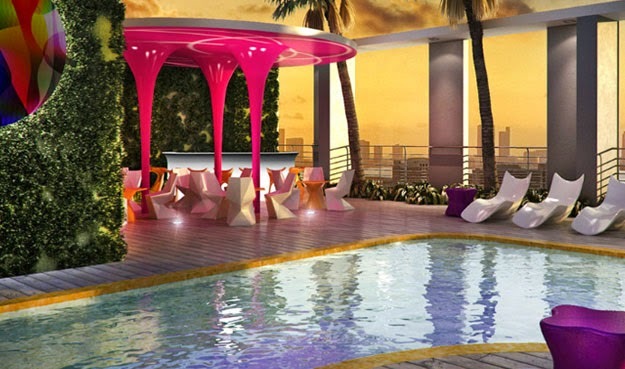 With this in mind, there are currently 10 rentals available at My Brickell. But be sure to act if you like one as it seems more and more people in Brickell want to live at My Brickell.